Please note: this is a clinical class, and cannot be taken as part of a standard block. 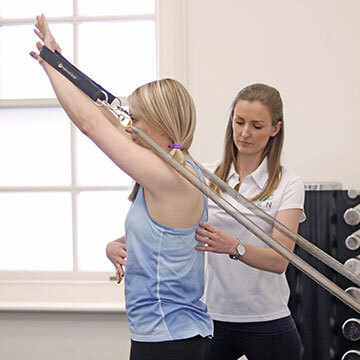 If you have not been referred to this class by a Trainer, Physiotherapist or Clinician, please contact our the studio to arrange an Initial Assessment before booking a class. This is not a Pilates class in the usual sense of the word. Firstly, it‘s taken by a qualified, clinically trained Physiotherapist. And second, it’s a totally bespoke approach. So instead of everyone in the room doing the same exercises at the same time, you’ll all be working on your own individual programme, designed around your specific objectives and needs, and with the Physio present to lead you through it, stage by stage. 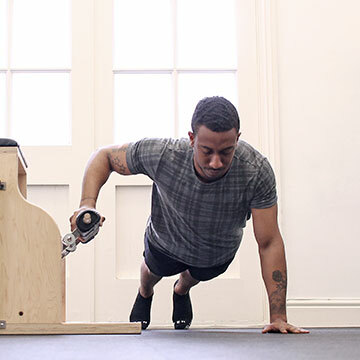 Unlike any other clinical Pilates classes currently available, it’s based around – but not limited to – several different pieces of Pilates equipment. To complement your clinical Physiotherapy treatment. Goal specific exercise – to prepare for an event or challenge, or to work on a specific technique or muscle group. Early or late stage exercise rehabilitation. Strengthening work pre and/or post surgery . Prehabilitation – to avoid or prevent recurrence of an injury. Managing a chronic injury or issue. Returning to exercise after a long break. Pre and/or Post natal exercise (particularly if you’ve had pain or complications). Or – last but by no means least – because you’ve been given some home exercises to do by your Physiotherapist and you’d prefer a more focused and supportive environment to do them in. Before you join the class, the first step is to establish an individual and goal-aligned programme for you. A referral from your Personal Trainer or Physiotherapist, which will detail your needs and your goals and enable you to join the class straight away. It’s a very personal and bespoke session. Each person’s programme will be completely different. And with a maximum of 4 people, expect significantly more one-on-one attention and hands-on correction. The class is underpinned by Pilates-based thinking and approach – a focus on precision, specific muscle activation, and core control. But it will incorporate whatever piece of equipment is most suitable for your specific programme. So while you may be working on the Reformer, the Tower, the Split Pedal Chair or the Ladder Barrel, you may also find yourself using cardio machines, TRX, free weights, balance balls, and other functional strength and conditioning equipment. Your Physio may also use specific manual techniques (such as joint mobilisation, soft tissue release and taping) to enhance your programme. To get the most out of your classes and to see the completion of your goals we suggest you attend these sessions regularly once or twice a week for 6 weeks. A highly specific exercise selection, enabling you to reach your goals faster. A more individual programme and personal approach than is possible in a standard class, more affordably than through one-on-one training. Chance to use specialist / new equipment. A great way to complement and enhance the benefits of your existing classes and training.